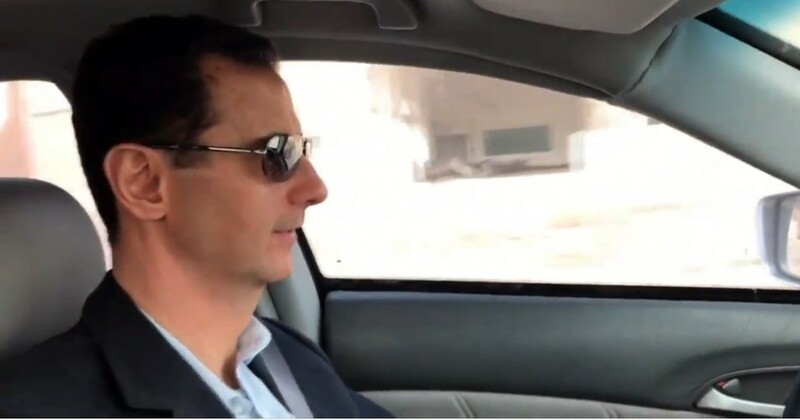 Hundreds of militants and their families have begun leaving the town of Harasta in East Ghouta on Thursday, under a special, Russian-brokered agreement with the Syrian government, which will see them transported to Idlib province. Two videos of Thursday’s mass evacuation have been obtained by RT’s Ruptly video agency. The drone footage shows a caravan of busses patiently waiting for the rebels and their families. Smoke is seen rising in the background of the town they leave behind. The second video shows rebels loading bags onto waiting busses, as military personnel and tanks circle in the background. 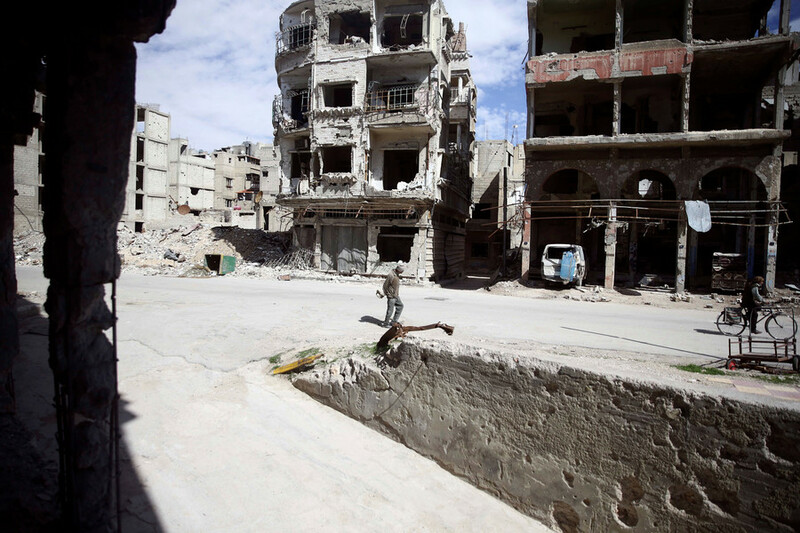 Under the deal struck between the Syrian government and members of the Ahrar al-Sham rebels, about 1,500 militants and 6,000 civilians, including the rebels’ families, plan to leave Harasta in two batches, a SANA reporter said on Thursday. 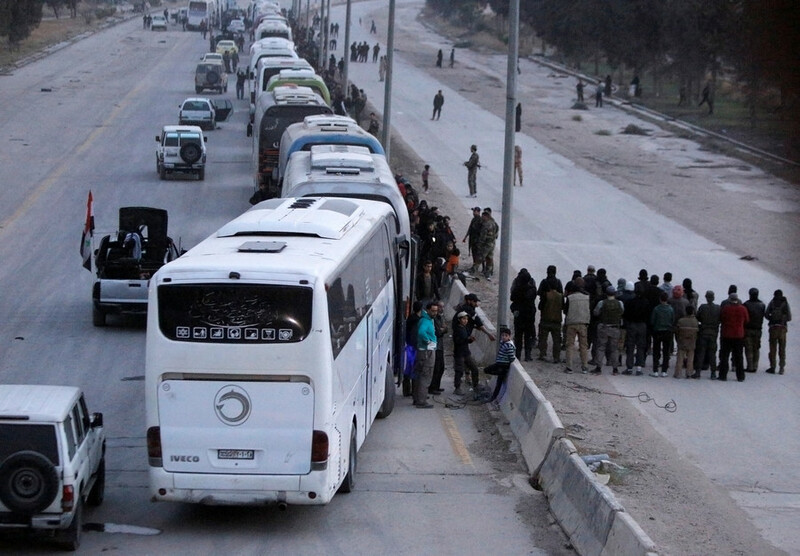 So far, the news agency confirmed that 810 people have managed to exit Harasta via 10 buses, including 253 men, 157 women, 218 children and 182 militants. 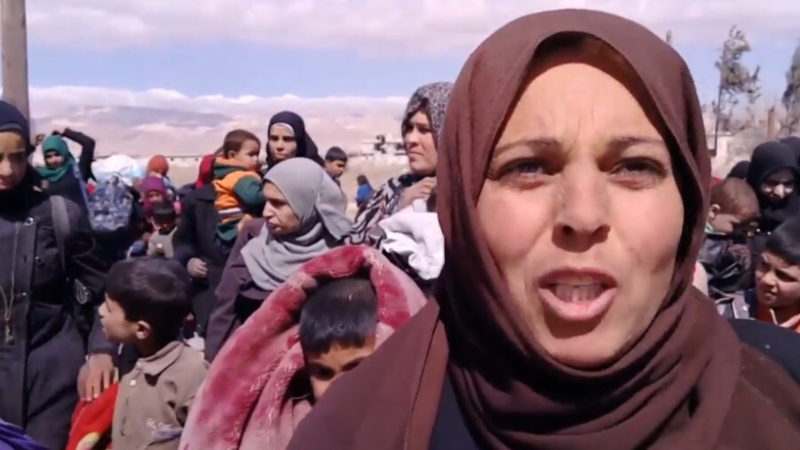 Later, Russia’s Defense Ministry said 1,895 militants and their family members were ferried towards Idlib on March 22 via a humanitarian corridor. The militants were transported in convoys consisting of 50 vehicles each. 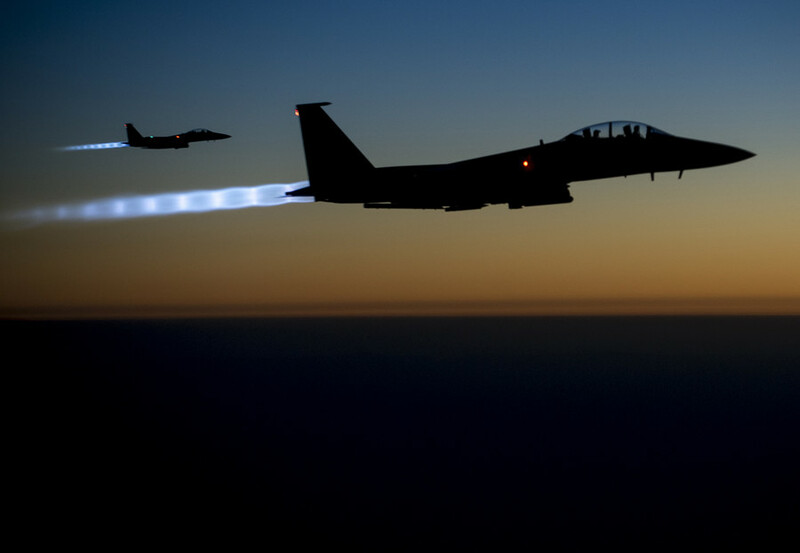 “Their safety will be ensured by Syrian police [working] under the supervision of the Russian Reconciliation Center and Syrian Red Crescent all the way through the route,” the MoD said. The surrender of hundreds of militants and their families was made possible after the Russian Center for Reconciliation in Syria announced the opening of a third humanitarian corridor in Harasta on Wednesday. To ensure transparency of the project, Russia installed CCTV cameras in all three of East Ghouta’s functioning corridors. 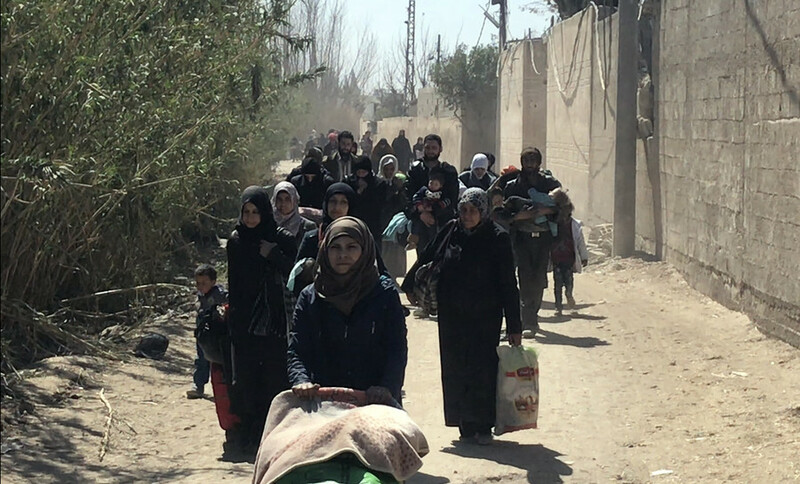 Meanwhile, civilians continue to flee the rebel-held territory through two other corridors in East Ghouta. “In total since the beginning of the humanitarian operation, 94,831 people have been evacuated from Eastern Ghouta with the help of the Russian Centre for Reconciliation,” the Russian Defense Ministry said on Thursday.